Every once in a while I’m tasked with writing a page that I find difficult to write for reasons that may surprise you. In this case, it’s because Enders Island is a confusing, strange, stunningly beautiful, relatively unknown, mixed bag of a place – with a really, REALLY weird artifact that led me to it. So what do I focus on? Do I save the “weird artifact” for the end? Do I encourage the ravenous hoards of CTMQ fans to descend upon this quiet little isle – or do I downplay the very thing that brought us here? We’ll see how it goes I guess. Enders Island is beautiful. It is easily accessible via a causeway that takes cars from the Stonington side of Mystic over Mason’s Island, and then another causeway out to Enders. That short drive alone is fun. This Connecticut is just so different from, say, Waterbury-Connecticut or the Litchfield-Hills-Connecticut. The road out to Enders is called Yacht Club Road if that’s any indication. It’s totally free and totally fine to head out there. Just drive slowly and smile. 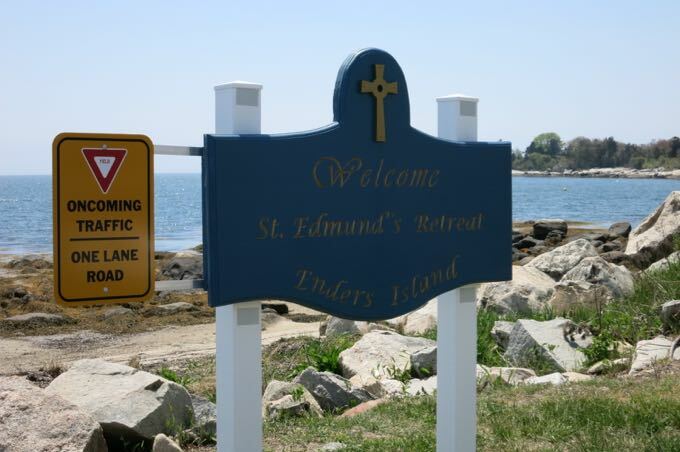 Enders Island is inhabited/controlled by one single entity: the Society of Saint Edmund. That’s right, it’s a Catholic retreat center. 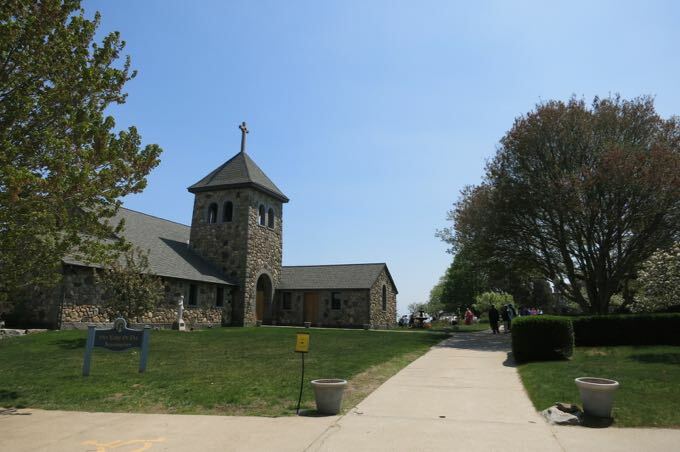 Enders Island has three separate missions, from what I gather: A Catholic retreat, an art colony, and a “recovery community” for substance abuse folks. On the day we visited, there was a gathering of a bunch of dudes in funny hats. Not Pope hats or Shriners hats or anything like that. More like Swiss Guard hats I’d say. I have no clue who they were, or what they were representing, but I sure as heck know my sons found them rather hilarious. It was all we could do to keep them from being rude in the faces of these old white guys in ridiculous hats. They were preparing for some special ceremony of some sort. More power to them. Let’s back up a bit. Here’s a good history of how Enders Island came to be what it is today. 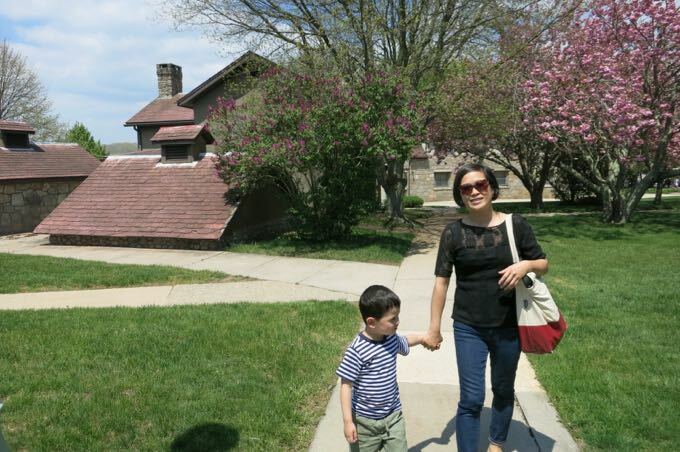 Alys, the wife, pretty much designed the buildings and planned all the tile work and stuff. They built it up, made it beautiful, and Alys reached out to some Catholic people about giving it all to them when she died. Alys’ intentions were that the Island would be used as a place of spiritual formation of those preparing for ministry in the Church and as a place for retreat for priests, especially priests from the Diocese of Norwich. That happened in 1954. In the 60’s, the Edmundites brought in the 12-step program stuff. 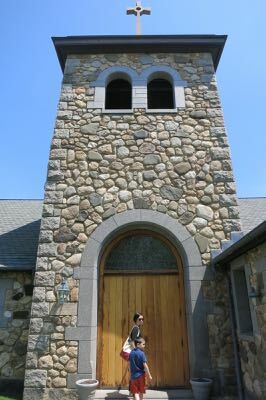 In the 1990s the St. Michael’s Institute of Sacred Art was established to promote and preserve the beauty and traditions of Art in the life of the Church. Or, as I said, it’s a beautiful place. Really and truly. And everyone walks around quietly and speaks in hushed tones. Outside. Such is the “power” of Enders Island. The chapels are not huge or ostentatious at all. They are very nice. 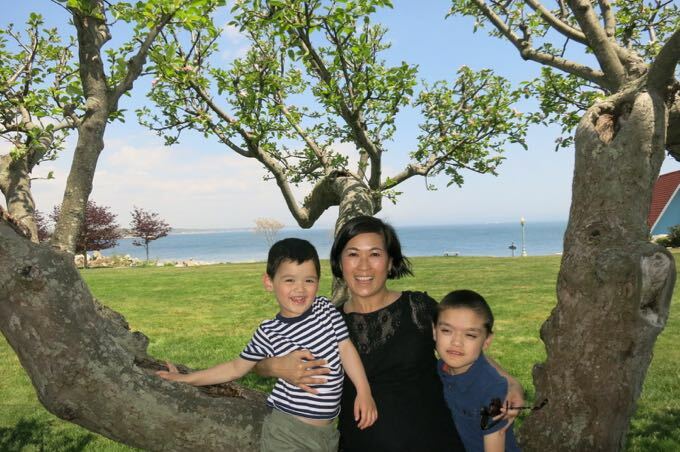 As you can see, my boys were intent on enjoying the sunshine; tossing rocks into the Sound. After all, that’s what little boys do. Beautiful buildings, artists with easels painting the lovely scene, old guys in ridiculous hats walking about… mummified severed arm on display and my kids just wanted to toss rocks in the water. 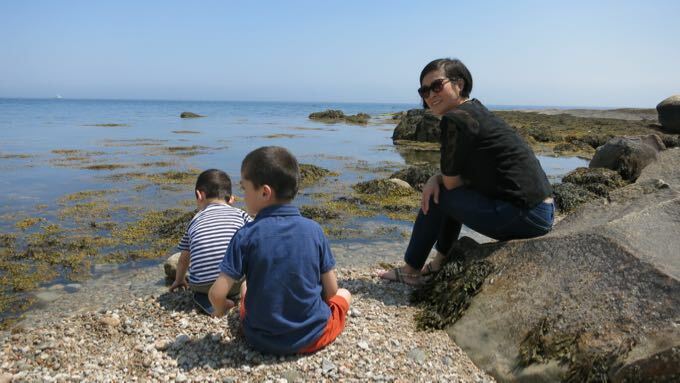 There is no beach here, per se, but just a rocky coastatine with small tidal pools and such. 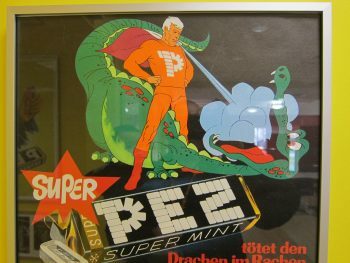 Enough to keep any little kid occupied for longer than their parents would like. 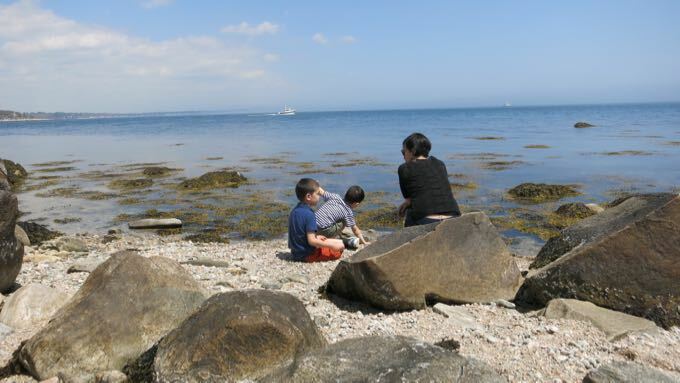 So we chilled on the rocks, looking for sea life and tossing rocks. Well, except from me. Boys, c’mon. Don’t you want to see an old severed arm? As I mentioned above, this island is run by some group of Catholics called The Society of St. Edmund. Edmund Rich was the Archbishop of Canterbury in 1235, but he wasn’t particularly loved by his English king. So he retired to France and died there. He was then sainted in 1246. The Society of Saint Edmund is a religious congregation of the Catholic Church founded in 1843, in Pontigny, France by Rev. Jean Baptiste Muard. They adhere to vows of chastity, poverty and obedience. The congregation is named after Saint Edmund and the members are Edmundites. The Society was formed to keep St. Edmund’s memory and life alive through faithful service, for the work of popular missions. The members also devote themselves to parochial work, to the education of youth in seminaries and colleges, to the direction of pious associations, and to foreign missions. From France to England to Vermont (where they still run St. Michael’s College and other stuff) to Enders Island. Okay, fine. 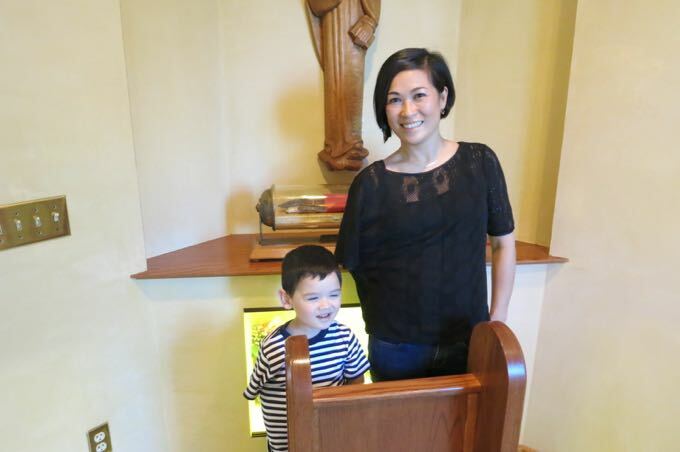 But… But why is there an 800-year-old arm on display here? The Enders Island folks don’t really spell it out. AS I said, he went to France and died. As was completely normal in the 13th century, his body was put on display. And then someone hacked off his arm. Continuing the completely normal behavior, The Society of the Fathers and Brothers of St. Edmund took the arm with them when they emigrated to England in 1903, then to America in 1954, then to Connecticut in 2002. Seriously. People honored and carried around a dude’s arm for hundreds of years. This is a special arm. Just look at how it’s still swathed in a clerical robe and rests nobly on a golden pillow. This is the best resource for information about the arm. I strongly urge you to read it. 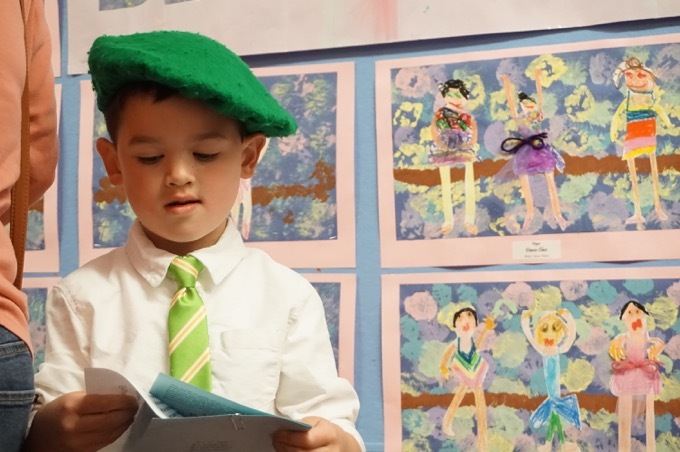 You’ll learn things like how St. Edmund was a ground-breaking scholar among other things. Edmund’s tomb became a pilgrimage site and a reliquary, meaning it was a place where his body and clothing were preserved for the benefit of pilgrims. The veneration of saints’ bones, or relics, appears in Christianity as early as the middle of the 2nd century, and it’s remained an important part of Catholic and Orthodox devotion ever since. It was common, and remains so, for chips of bone, known as “first class relics,” to be distributed to churches around the world. Articles of clothing are called “second class relics,” and something that’s touched a first or second class relic becomes a third class relic. Usually it’s a piece of cloth; they can be found for sale in many Catholic bookshops. And the best part? 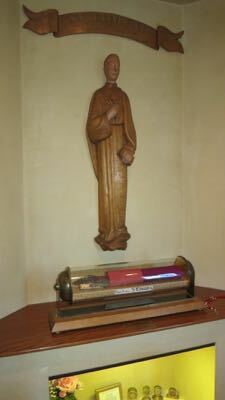 It’s now on display in the Chapel of Our Lady of the Assumption on Enders Island! Honestly, this is hands down one of my favorite attractions in the state. I’d give my right arm to… eh, I can’t make that joke work. I was so excited to see this thing. I wanted to try to understand why religious people think this is something that should be done and revered. We entered the chapel and people were praying. Uh-oh. Please be quiet, boys. 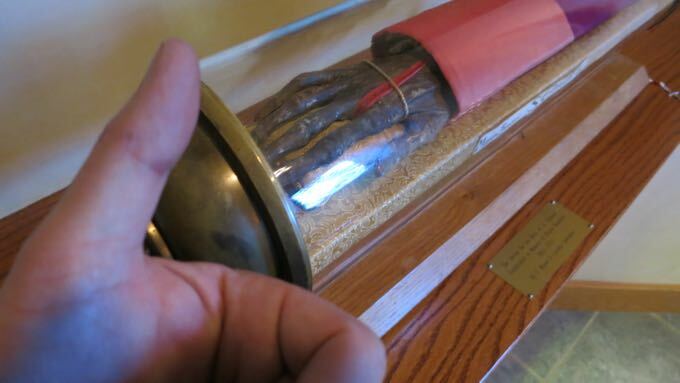 Despite the fact you’re about to see an 800-year-old mummified arm! And there, in a little vestibule off of the chapel, there it was! 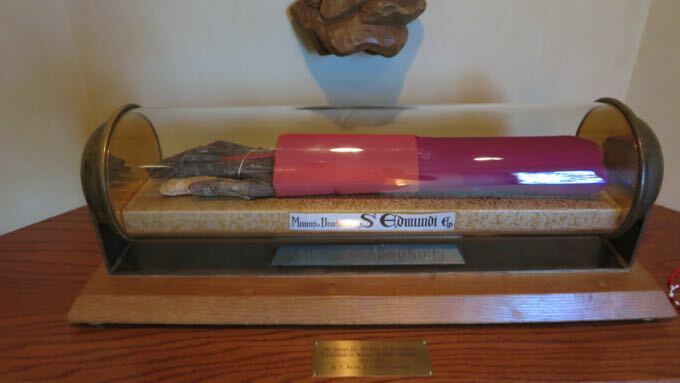 In an oddly perfect arm’s-length plastic tube, St. Edmund’s arm! Its skin black with age, and altogether rather terrifying. Beneath the arm are a bunch of those boring ol’ first-class relics of St. Edmund; bone chips and such in fancy little frames. But really, who cares about that when we have a whole arm here? Why were we the only ones enjoying the Arm Room? There were 200 other people on the island that day, and not one of them seemed interested in the same thing we were. What was wrong with them? My children couldn’t really see the artifact, so I… gave them a hand, making sure to keep them an arm’s length away so as to not disturb the holy arm. Just to be clear here, I know this arm is very important to this arm of this arm of the Catholic Church (which is an arm of Christianity) and I haven’t treated it with the respect that perhaps some people think it deserves. And clearly I love it for wholly (not holy) different reasons – like how my collection of Severed limbs in Connecticut is now complete! I treat everything in Connecticut the same way: with curiosity and humor. An 800-year-old withered and blackened arm is no different to me. 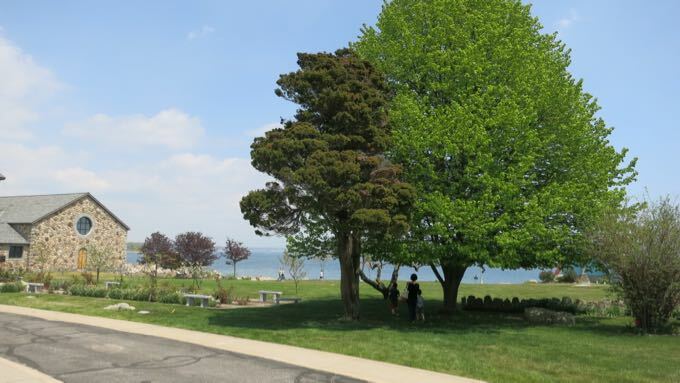 Enders Island really is a sort of Twilight Zone – and not just because many folks here think an 800-year-old severed limb is something to hang on to. No, it’s because we could literally see the bustling tourist shops of Mystic and Stonington Borough, but out on the island, there was none of that. Some jams are sold here – on the honors system. Mere minutes away from competitive ice cream shops by the bascule bridge selling scoops for five bucks each. 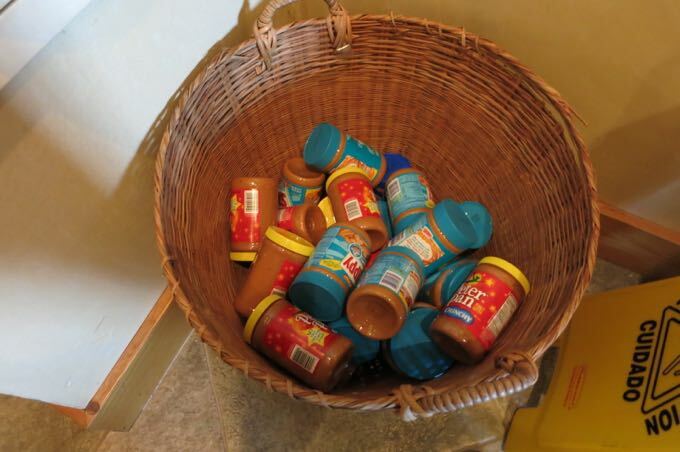 Except for the random bucket of peanut butter right next to the Arm Room. 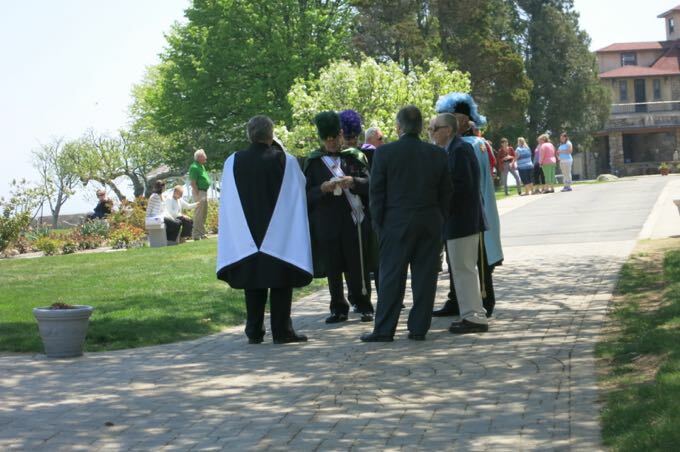 As for the guys with the funny hats, I’d bet they were Knights of Columbus.